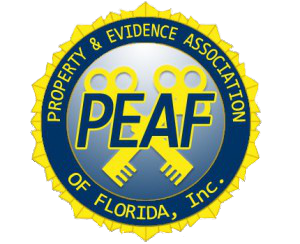 There are currently nine PEAF chapters throughout the State of Florida. Each chapter serves a number of Florida counties within a specific geographical area. PEAF chapters generally hold quarterly meetings that include instructional topics, round-table discussions, networking, a sometimes a little fun. Getting to know other evidence specialists throughout your chapter, and even the state, can provide a wealth of information and experience for your agency to draw from. There are many evidence specialists around the state who are ready and willing to help out. If you're not a member already, join PEAF today and take advantage of one of the greatest law enforcement resources Florida has to offer!